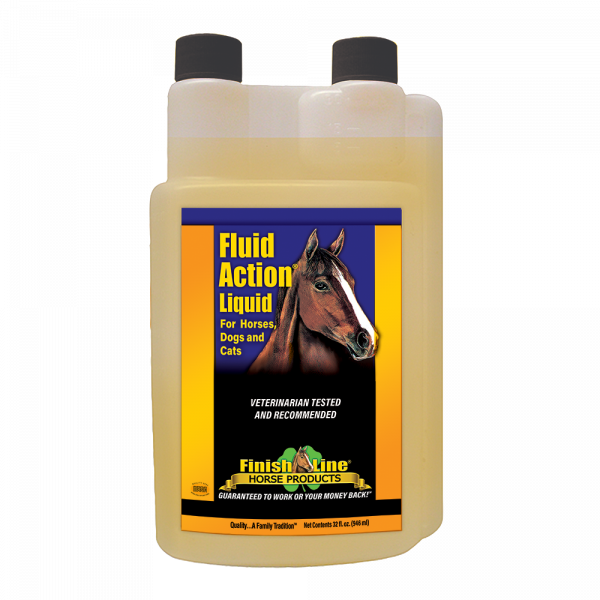 Fluid Action® helps promote healthy joints in your horse. Fluid Action®provides 5000mg/oz of Glucosamine and 1000mg/oz of Vitamin C. Trainer-tested and proven. This proven formula uses the following ingredients: Glucosamine, Yucca, MSM, Calcium, Magnesium, Vitamin B2, Vitamin B6, Vitamin B12, and more. 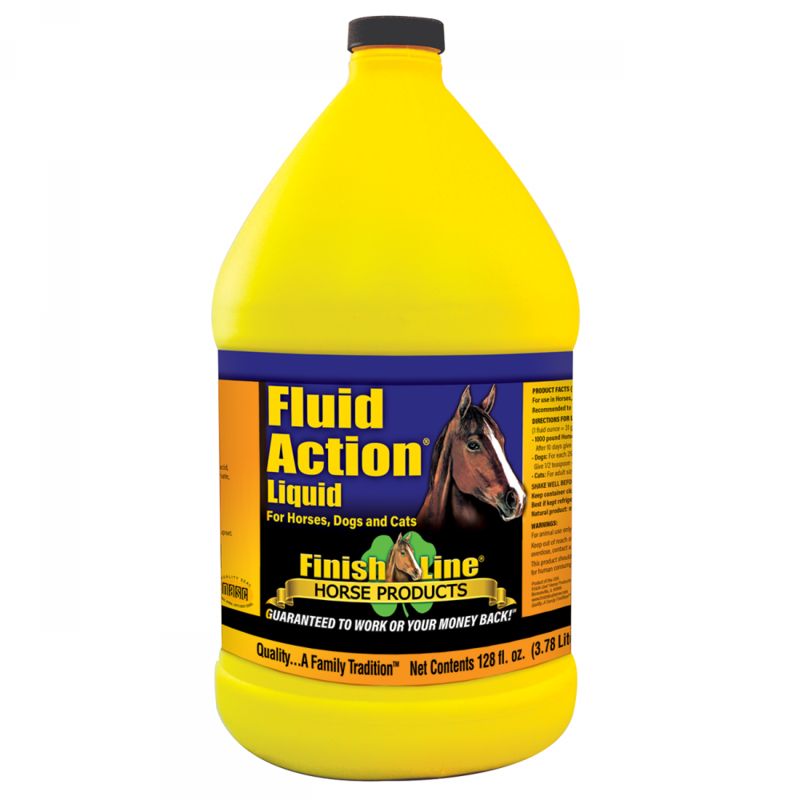 Fluid Action® is Finish Line®’s original and most economical equine joint health supplement. Promotes healthy joint function See healthier joint function in your horse, dog or cat within 10 days. SATISFACTION GUARANTEED!